In my practice, I not only enjoy practicing preventive medicine and improving the quality of patient's lives but also providing care for urgent and unexpected problems. I want patients to feel comfortable to come with me with any problems and together we will work to find solutions. The initial visit went well, but the follow up care was horrible. Phone calls and messages never returned. I needed a referral, but PCP office would not respond to multiple messages sent to them. Impossible to contact via phone, all calls go to call center. Call center sends message to PCP office, but no one responds. Terrible care. Dr. Klarquist is a very good Doctor. I feel that he is a great Doctor, very good listener, explains everything well, and is great at trying to help his patients see the big picture. I am am excited and pleased to have Dr. Klarquist as my provider. A great doctor! I am lucky to have him. the wait for ACL to get my labs was over an hour. I usually wait 30-60 mins for labs which is too long. I'm completely satisfied w this provider. Reaching him is challenging as I have to go through an inefficient call center. I am unable to access the portal through my phone. I found the new facility big and cold. It felt like I was in an industrial medical facility not in a doctor's office. The nurse did not introduce herself nor did she introduce the other person who was with her. That person did not have any badge or identification indicating they were an authorized person. The nurse spent most time just typing into the computer and had the other person take vitals. This supported the feeling that the facility is just an assembly line. I was glad I knew Dr. Klarquist as a familiar and friendly face. As always, he's congenial, professional, and to the point. I appreciate all of the above. Dr. Klarquist and his team are great. Your office is very sterile and I do not mean as in health but rather in appearance, operational procedures, and over all patient friendly. The inability to contact my doctors office except through an intermediary who tells you they will send an e-mail etc etc. makes one feel like nothing more then a tiny screw in a big wheel. The advocate bureaucracy is beyond further comment except to say I have several specialist at the University of Chicago Medical Center, a medical center of sound reputation and it is not so impersonal. A number of years ago I had major surgery and was pleased, Advocate has clearly changed and not for the better. I suspect it is, as always, all about money and management that has forgotten we are human beings, not just numbers. I would not be surprised that one day if I phone my doctor the call will be answered by someone in India like the credit card companies do. Actually my issues are not with my doctor but rather the Advocate organization. Dr. Klarquist is a phenomenal physician and is exceptional with all my healthcare needs. Dr k is direct and no nonsense while being a caring individual. recommend. Dr. Klarquist has been my PCP for almost 20 years. He knows me, my medical history and I trust him. He's an incredible doctor and has provided excellent care and recommendations about my health. What more is there to say...he's awesome. I didn't get a hernia check or test for testicular cancer like my previous primary care doctor did. But otherwise very nice and knowledgeable doctor. Thank you! Dr Tom is an excellent listener and open to assisting in any way he can with any medical issue. Provider great. Office poor. Staff poor. Phone system awful...total failure. It has been very difficult to communicate with my physician to receive results and referrals since the appointment. IT support was not able to provide me with access to the patient portal. The in-office experience was good but the follow up and post-appointment communication has been poor. I do not blame this on Dr Klarquist but rather on the systems, processes and methods employed by the provider organization. Dr. Klarquist is a thorough and respectful physician. He has been my PCP for almost 5 years now and I have been very happy with him. Dr. Klarquist is great. He listens and makes sure that he has addressed all my needs or questions. My provider had an emergency,so I was asked if I would like to see another Dr,I said yes.The Dr I saw was a very kind person and even tho he was very busy,I felt my appointment was not shortened at all. All my questions were answered.His name was Dr Klarguist, I was very comfortable with him. Excellent visit! Best Dr ever! The new offices are too cold, sterile, & factory assembly line like. There is one receptionist for all of the doctors in the complex. There is not a private office. We are all funneled through one desk. Reaching & communicating with the doctor is very difficult & messages get filtered through multiple people. I understand the idea of screening calls but there has to be a better way of communicating directly with the doctor & getting back communications. This was my first visit with Dr. Klarquist as my primary visit. I saw him once before when my primary physician at the time was unavailable. I think I'm going to like Dr. klarquist. My experience was very satisfactory. I am very pleased! It was my first time with Dr. Klarquist, as my previous health care provider recently left Advocate. Dr. Klarquist was most helpful, professional & thorough with his specialist recommendations, health check up, healthcare provider transportation & medical concerns. Laboratory wait time was rather excessive & phlebotomist was a bit aggressive which caused anxiety flare. Had an annual physical with Dr. Klarquist. He is always responsive and collaborative in my health, which I really appreciate. He's informed and I can tell he cares about his patients. He's thorough and spends more time than many doctors. I have a great deal of trust in Dr. Klarquist. I never feel rushed and he listens to my concerns and answers my questions with clarity and thoughtfulness. I hate the patient portal, would rather have my results emailed to me directly, provider did not ask a lot of follow ups or make me feel my concerns were valid, I will be looking for a new doctor. Dr. Klarquist is a wonderful doctor. He always listens to what I have to say and if I have questions, he always answers them thoroughly and ensures that I understand his answers. Dr. Klarquist has been my primary physician for a very long time and knows my medical history. I'm comfortable seeing him. Dr Klarquist is a very knowledgeable and professional physician. He always has made time to discuss any of my concerns. He is as good as it gets! The automated phone system didn't work well when I tried to call and ask if I should reschedule my appointment due to a cold. It wouldn't connect me to a live human being. It kept hanging up. I ended up emailing the doctor directly to ask if I should reschedule. When he said yes, i was able to cancel on line. A couple weeks later, I was able to reschedule on line... but I didn't follow the prompts/ I just pushed a button and got someone... who reconnected me to the right place. I love my doctor but I don't like how the front desk discusses financial matters out in the open. klarquist is a curmudgeon. usually this is fine but occasionally it makes it difficult to feel heard or listened to. Klarquist has been great helping me work through a difficult diagnosis. I LOVE Dr. Klarquist. He is super-personable and a great listener. He is empathetic and very solution-oriented. He is genuinely concerned about me as a patient. I'm a new patient. saw him for the first time. l left his office feeling good about selecting him as my PCP. He listened was tentative, courteous and knowledgeable. Dr. Klarquist always provides outstanding care. Excellent Doctor! Very knowledgeable, Very patient! Dr. Klarquist is a very good doctor and listens very intently to what you are telling him! Professional. Courteous. Answered all questions. Suggested appointment with surgeon same day. Dr Clarkquest is very attentive and very responsive. I feel very comfortable with him. Dr. Klarquist and his office staff always listen, and provide excellent care. Most of the PSR's are nice. A few give off a negative vibe. As always, it was exactly as I've come to expect. I'm very happy with the Doctor and his team. BUT, there was an insurance issue that gave me cause for concern. When my coverage changed on Jan. 1st, I wanted the same Doc and similar coverage. I got it, but it was way more expensive. When I showed up this time, for my second appt of the year... I was told he no longer accepted my insurance. But he had 3 months prior. Calls were made and there was a lot of confusion on both ends. Dr. K. had his main office guy come in and promised to look into things. I haven't heard anything yet from either the Doc's office or the insurance carrier. Excellent! Dr. Klarquist is an outstanding physician, I would recommend him to anyone & feel confident they would be going to the best doctor. Routine check up. Dr Klarquist is very polite and professional and I enjoy spending time with him. a good and meaningful experience. Dr. Klarquist is always on time and ready to see me. He remembers what we are there to talk about, and also inquires about each of my conditions, even if they are not emergent. He always leaves plenty of time for me to ask questions, and I never feel rushed. He lectured me on things outside of what I was seeing his for and didn't listen to what I was saying. It was excellent! I recommend him all the time! Dr. Klarquist was very attentive and paid attention to my concerns. He answered all my questions and offered advice on ways to improve my health. I was quite annoyed that the doctor called to threaten to end the relationship if I didn't make an appointment within 30 days. I had never refused an appointment and had not had one suggested or offered. In fact, the last time I was in the office was to receive a vaccination suggested by the doctor. Apparently, somebody implied that I didn't want an appointment, which was unwarranted because an appointment had not been offered or suggested. There is a problem with communication largely caused by Advocate's insistence on screening calls with a receptionist. When the doctor does not talk to you directly, it is not a surprise that things get miscommunication. the dr is really nice, I wish he would not rush and asked more questions. the front desk staff tends to be rude and rarely have eye contact. the dr assistant is also nice. wait time is usually too long. wait time for lab on 2nd floor is horrible. I'm thinking of changing providers. Doctor good. Some support services not so good and some even downright rude and brutal. In all my visits with this doctor I have experience that he is not very thorough. Definitely not the best doctor I have ever had. Dr. was thorough in examination and considerant of feelings . He asked the right questions and listened to responses. I had a family crises to talk about and was given an attentive ear by the Provider. Seen on time, questions answered, and referral provided. Dr. Klarquest is great. Always listens. Dr. Klarquist is the best & he knows me and treats me with respect. Have been a patient of Dr. Klarquist for 15+ years....cannot imagine seeing anyone else. My work schedule can be demanding and my schedule changes often. I am thankful that my doctor works with my work schedule in making my appoints. He saw me on time and listened to my needs. Tom is great. Been with him for 20 years. Some of the office staff are quite officious and seem to busy to ask questions. Dr. Klarquist is a great doctor. I would recommend him to anyone! Surgery pre exam: He covered all bases. I would totally recommend him to anyone. 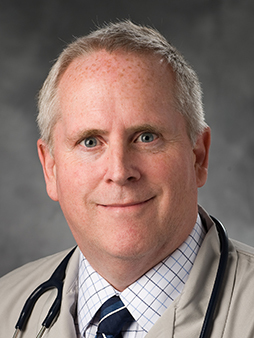 health eNews with Thomas Klarquist, M.D.